Rayne necklace by Kendra Scott. 14-karat yellow gold plated brass . 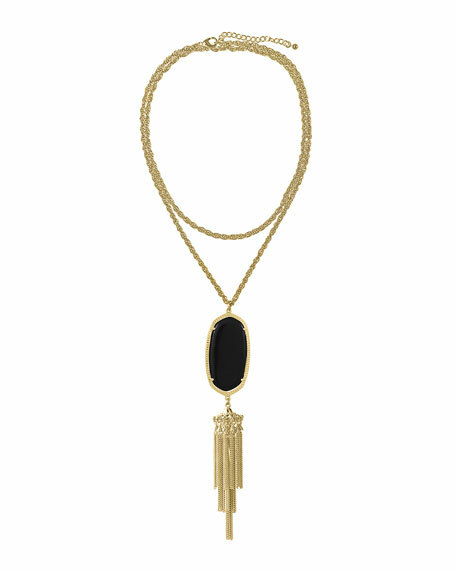 Black opaque glass pendant with chain tassel. Lobster clasp with logo charm and chain extender. Necklace, approx. 30"L with 2"L extender. Pendant, approx. 5 1/2"L x 1"W.
For in-store inquiries, use sku #227484.